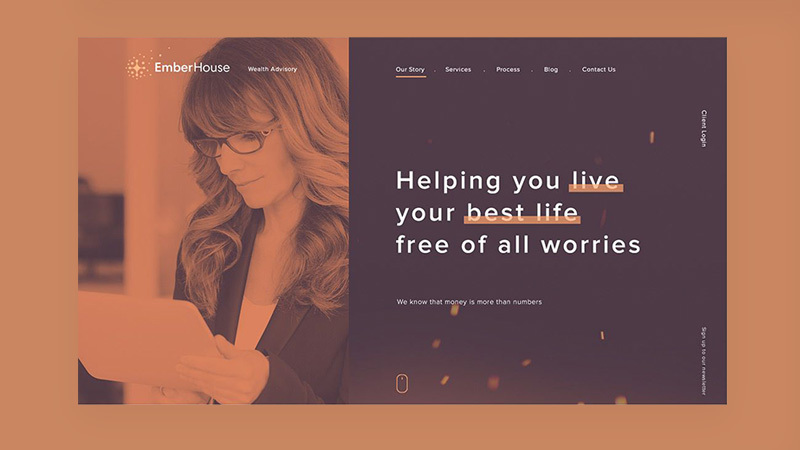 Ember House is a financial consulting company that offers a high-quality service to wealthy clients. We were inspired by ember. 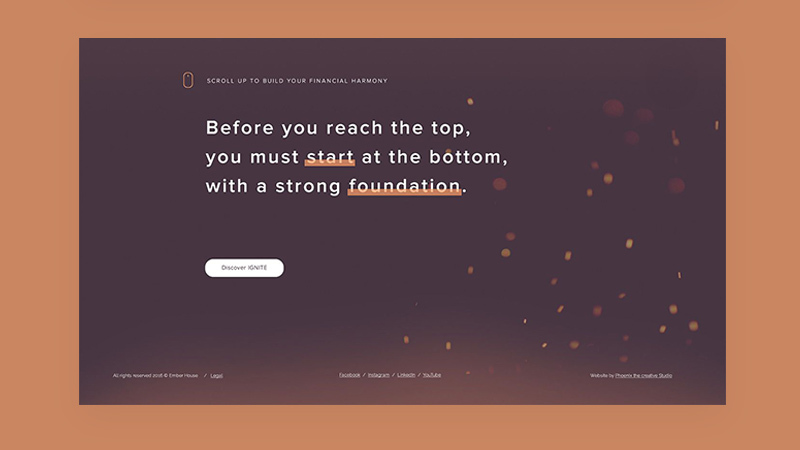 The website was designed so that the user starts his journey at the bottom of the page and then scrolls up to climb through the seven stages of the “Ignite” strategy; symbol of the wealth freedom. 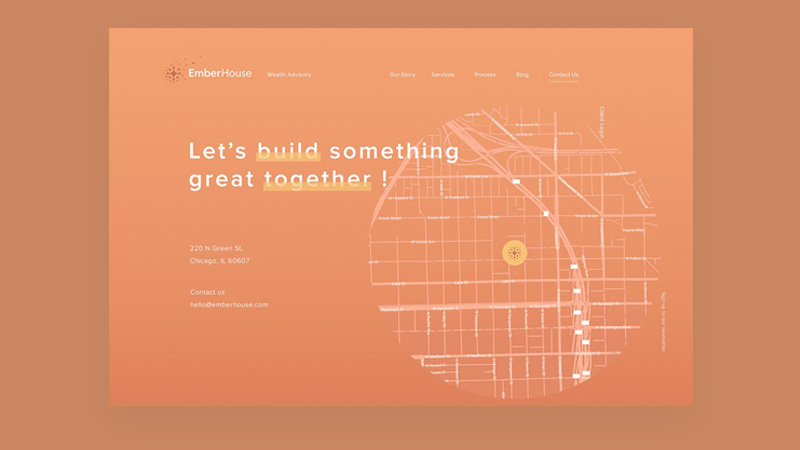 Delightful animations and vibrant colors add this singularity they wanted.